So, the Blacklist in the title: It’s a list of locations in the United States where a terrorist group called The Engineers – lead by a former British MI6 agent no less – are going to strike and it’s up to Sam Fisher, the special forces guy with all the cool kit, to take it out. Now leading the secretive Fourth Echelon (after Third Echelon was disbanded by the US president), Fisher leads a top-notch team that includes recurring character Anna “Grimm” Grimsdottir and new characters Issac Brigs, a fellow operative, and whizzkid gadget guy Charlie Cole. 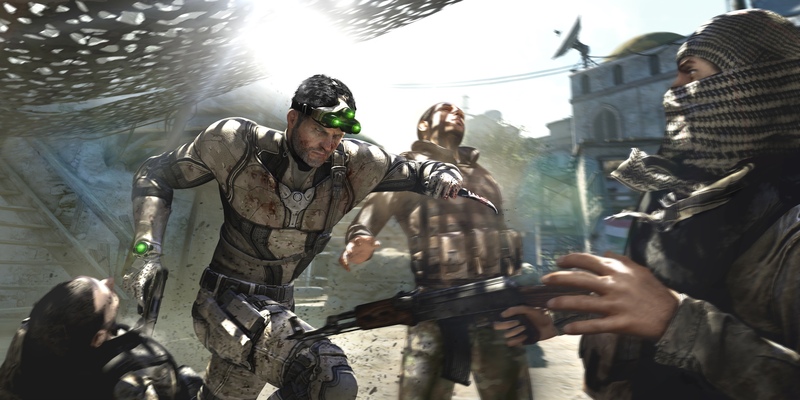 The story is clichéd and clumsily handled at times but despite that, for me, Blacklist is a return to form for the Splinter Cell series and wipes out the abomination that was Conviction, which just seemed to lose the plot completely as to what a Splinter Cell game was meant to be. It almost forgot that stealth was a core element of the series. 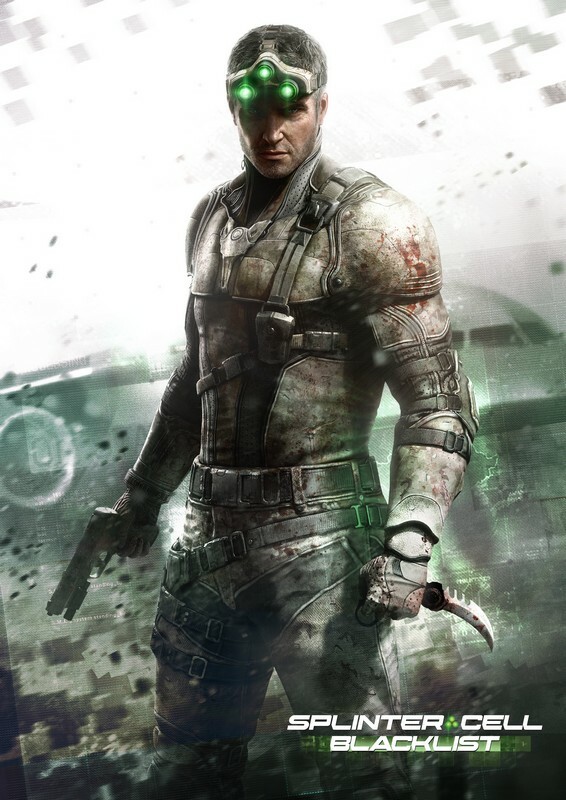 In fact, Blacklist could be spoken in the same breath as Chaos Theory, the best Splinter Cell game in my mind. Blacklist is a return to form for the series because stealth is given a starring role it deserves and with numerous ways to complete objectives it feels remarkable open-ended and fresh, Fisher is now again able to hide bodies and you can tackle missions in one of three play styles (Ghost, Panther and Assault), one of which is ghost-like and stealthy, which is how I like my Splinter Cell games to be. I never grew sick of taking enemies unawares, either through stabbing them silently as they walked past or jumping down from an overhead pipe. Blacklist brings back the Mark and Execute feature found in Conviction which lets you target up to three enemies at once (a silent kill will activate the feature) then take them out when you’re close enough in a slow-mo style one-shot kill. Yes, it makes things easier but it’s still a tonne of fun – although the feature proves less useful once you start encountering helmet-wearing heavy-armoured foes as the two shots are needed to take them down with the first just knocking off their helmet. I can say it enough but Blacklist succeeds as a Splinter Cell game because it lets you rely on stealth to take down enemies, if you want, and for me, that’s what a Splinter Cell game should be all about. The cover system works exactly how it’s supposed to as well, with Fisher sticking to cover when you tell him too and moves from point to point fluidly and with haste. Enemy AI is pretty good on the whole – most of the time – although sometimes a patrolling guard won’t see a dead colleagues feet sticking out from behind a concrete barrier or that you’re gripping a ledge a few metres from their head. I only came across a couple of times when guards were walking on the spot, and that was during side missions outside the main story campaign. The story mode delivers a great experience but I question a couple of instances where the game takes a first-person perspective in a few missions. It just seemed a little out of place in a game where third-person action is its main focus. Grimsdottir, Briggs and Cole each have side missions that can be tackled any time you like – be it after story missions or at the end of the game (which seems weird a bit because the characters talk about events that need to be stop although you’ve already finished the game). I played some of the co-op missions with friend Chris Leggett (@Leggetron) – him in Seattle, me in Christchurch – and it was a blast. It’s always nice to be able to discuss tactics with a friend before tackling an objective. Co-op missions can be completed solo but certain entry points on maps will be “dual breech” or co-op only. Also worth a look is the co-operative play and online Mercs vs Spies mode, first introduced in SC: Pandora Tomorrow. Spies vs Mercs pits one team as Mercs out to stop hacking spies. While I fared poorly, it’s an interesting premise. I went into Blacklist unsure what to expect, especially given that Michael Ironside wasn’t voicing lead character Fisher and following the disappointing SC: Conviction. But thankfully, I sat back after the final cut scene satisfied in a game worthy of the Splinter Cell moniker. I haven’t played any of the Splinter Cell series in a long time. The last time was that platformer version they released for the PSP. I’ve watched Devildoggamer’s co-op videos of Blacklist, it seems pretty good. Though I usually find that whilst I enjoy watching others play, I can’t get into it myself.